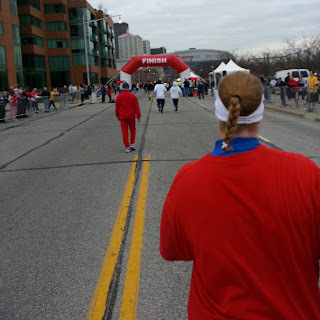 Here is my video recap of the 2013 Big Hit Half Marathon. Also I have included the Flip Video that my incredible wife took and some pictures. Including the comparison of Finisher's Certificate of the first time I ran this race in 2011 and this year, as well as a weight loss comparison picture of two years ago and last week. I hope you all enjoy, and THANK YOU for visiting my blog! Much Love, Stay Good, y'all! Me and the Pace Group Leader...he even gave the purple balloon (Pace Time) to my Youngest Daughter because I talked about my family so much and how everything I do, I do it all for them! Q Hybrid Nutrition & Fitness website has FINALLY launched! Well it has launched! I have finally launched my Personal Trainer/Nutritionist/Motivation Coach website! When you get a chance, please stop by and see it! Also, feel free to leave a comment on there as well! Sorry this write up is a little late, but it has been a busy past two weeks. And tomorrow starts Race Week for the last leg of the Louisville Triple Crown of Running: The Papa John’s 10 Miler! I am still so excited for Damary and her training and perseverance. Yesterday she had her longest run, BY HERSELF! She went outside and knocked off her own little 10K! The first thing I could tell was that she is gaining confidence in herself. 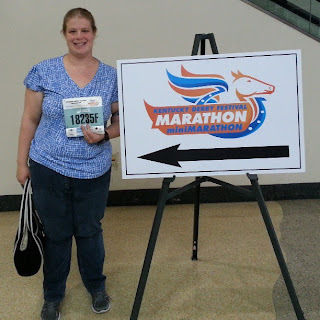 She not only had her fastest overall run, she know REALLY believes that she can do the Derby Half Marathon. Which I have known since Day One of her training. 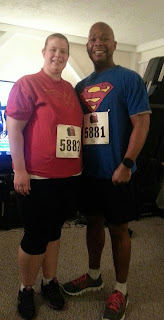 Anthem 5K Write-Up a.k.a. How AWESOME is my Wife?? 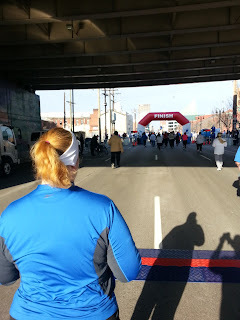 This is my report from yesterday’s Anthem 5K which is the start of the LouisvilleTriple Crown of Running which leads into the Kentucky Derby Festival Mini (Half) and Full Marathon. This was Damary’s first trained for 5K, and she has been training to run her first Half marathon at the previously mentioned Derby. I am so excited and proud of her. 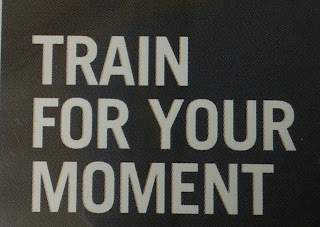 I am her coach/trainer/motivator along this training course. I will say that Damary makes it RIDICULOUSLY easy to be those titles, because she is motivated. Instead of getting up by myself at 3:30AM, we now get up together, and the “Fam-Cave” turns into the “Sweat Cave” as the XBox gets fired up for Nike+ Kinect (which I recommend ANYONE who wants to workout and has an XBox, RUN and pick this up. Of all of the exercise Kinect games, this one is the BEST by far! ), and the treadmill (I call it Barry, as in Barry Allen, a.k.a. The Flash, and Damary calls it Themyscira, as in the birthplace of Wonder Woman!). 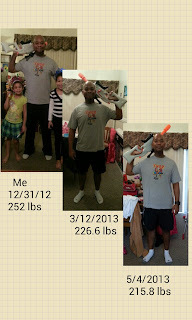 Weight Loss, Training, and Life Getting Better! It has been a while since I have written, because it feels like I have had so much on my mind and heart, I didn't really know where to start. Well after yesterday 3 surgeries, I have 2 weeks of non exercise time, so I have things I want to get off my chest. Now first off, many of you who follow me on twitter or Facebook might be wondering why I never mentioned I was going to have surgery until the day before. Well that is simple...and I am not trying to be harsh, but I am daily surrounded by people who complain about situations they put themselves in, or always have a new crisis every couple of days. So, I never wanted conversations to turn into "Can you top this" sort of thing. Also, and not being judgmental just being honest, people sort of expect me to help solve their problems...no one really ever ask me about mine, or if I even have them.